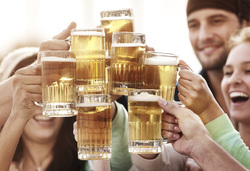 A beer brewery tour can be especially fun with your closest family or friends in the city of Raleigh or surrounding cities. There are a number of breweries that carry unique beers which have amazing atmospheres that can be found to make your tour a fulfilling and enjoyable experience. Some of our most popular brewing companies that people frequent are the Aviator Brewing Company, Big Boss, Bombshell Beer, Blueprint Brewing, Bull City, Carolina Brewing, and Raleigh Brewing Company. There are surprisingly many more breweries to choose from, making your tour possibilities almost endless for the time you decide to explore and have a good time in North Carolina's breweries. The best part is that we do the driving while you do the drinking, ensuring a safe and fun time for you and your faithful brewery companions. North Carolina is a hub for brewing companies, making your trip all the more worthwhile to aim to visit as many breweries as possible. Raleigh Limousine and Party Bus Rental services makes it easy to accommodate as little as 2 to as many as 56 people on your brewery tour. Just let us know the approximate number of guests you will be bringing with you on the tour, and we will suggest a few styles and models that will accommodate your needs. We also have a variety of amenities inside our limousines and party buses that our guests enjoy along the way to their destinations. Some of our brewery tour guests set a theme for the day, and their limo is decorated accordingly. There are many ways to enhance the day to make your brewery expedition one to remember. Our experience has been that every group is different in their beer brewery tour activities. Some of our guests choose other fun options to liven up the tour like the Poker Run offered by Draft Line Brewery or their famous Pig Picking. There are also a variety of dance venues to choose from like Triangle Square Dance or Crazy Eights. Our chauffeurs will follow the itinerary decided by the client and will honor any time commitments provided to ensure a seamless and comfortable experience for all. All specifications will be followed, such as where to pick up and return guests on the tour. All of our top of the line limousines and party buses in our vehicle fleet are licensed, insured, and well-maintained for our customers. Our limo drivers are also well versed and trained in hospitality and treating all guests with utmost respect on their trip, and know the proper routes to and from each brewery destination that can be taken. Raleigh Limousine and Party Bus Rentals also provides customizable services to all of its customers including but not limited to church trip transportation. Some of the features in our vehicles include options such as a dance floor, poles, lighting, smoke machines, a snack or beverage/ cocktail bar, and all the latest televisions and stereo systems. We are also happy to take a play list for our client’s music selection, making for a brewery tour that will always be remembered! 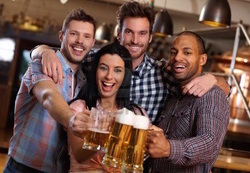 Call & book your beer brewery limo or Party Bus service in raleigh nc today!